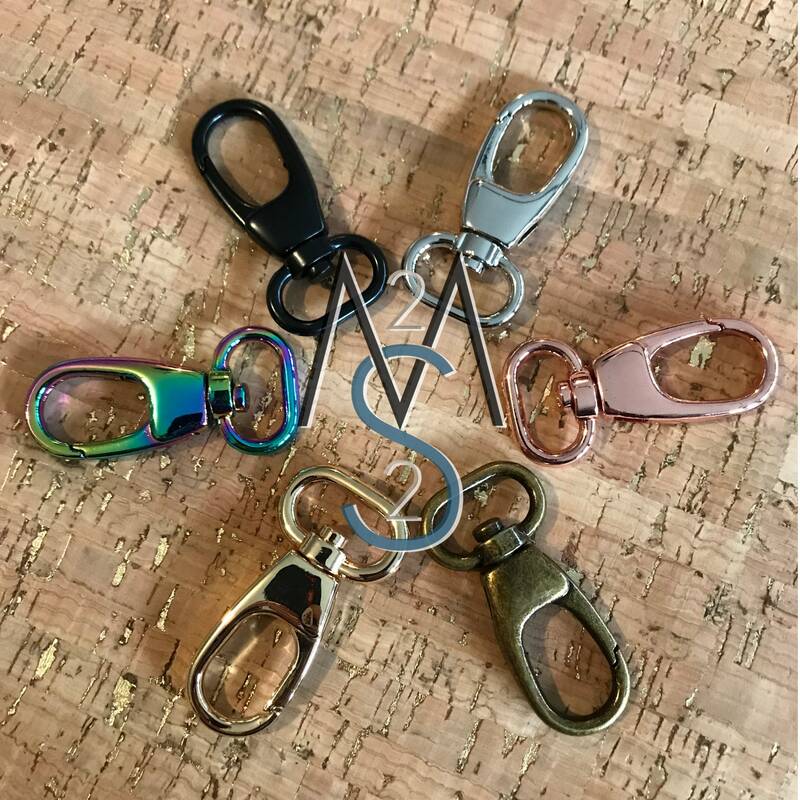 Swivel clips to fit bag straps of 3/4 Inch width or smaller. I am glad I came across these clasps. These are the most awesome claps I have ever had. These are so well made and they look great as well. I cannot say enough great things about these claps. I have a handicap and these are the best things since sliced bread. I most truly and highly recommend these as well as the seller. I am grateful to her in offering these wonderful, great awesome clasps. Great quality hardware, but shipping took 12 days. Thinking it was just the post office's fault, so I'll order again!